Lisbon Maine: ARE OUR LEADERS REALLY TRYING TO REDUCE OUR TAXES??? 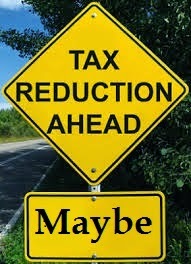 ARE OUR LEADERS REALLY TRYING TO REDUCE OUR TAXES??? For numerous years now, I have listened to the Town Council, Finance Committee and the previous Town Manager talk about trying to reduce the budget. Every year they talk about NOT raising our taxes and when all is said and done, the taxpayers suffer through another increase. So what is the problem? The Town Council and the Town Manager has required all the Departments to cut their budgets with the exception of the Police Department. The Police Department has the largest budget but has never experienced a cut, if fact, last year it was increased approximately $78,000.00. All the other departments are cut to the bare bones. So now let’s look at what can be done to reduce the operating cost of the Police Department. The Town Council has directed that the Town Manager cut $300,000.00 out of the Municipal Budget. Since all the other departments have been cut in the past, the only logical solution is to look at how to cut the Police budget. I believe it is time to outsource some or all of the Police Department. It is time to ask the Androscoggin County Dispatch to provide a cost analysis of what it would cost the town to have the Androscoggin County Dispatch take over Lisbon Communication Center. Keep in mind that the town currently pays over $500,000.00 in County Taxes and receives little to no services. The Lisbon Communication Center cost $285,000.00 to operate last year and that does not include the equipment which will have to be upgraded or replaced sometime soon. Also, it is time to find out what it would cost the town to outsource the Police Department with the Androscoggin County Sheriff’s Department. I am sure that it will not cost the taxpayer of Lisbon over $1,400.000.00 (million dollars). I would not be surprised if it cost $700,000.00 to provide the same service Lisbon is currently receiving. Look at The Greater Lisbon Ledger at the types of arrests our Police Department are handling. Look at the number of arrests our two Detectives made during the months of December/January. Last summer one of our Credit Unions was robbed by an individual wearing a hoodie in 90 degree weather and no arrest was made. I am sure the Sheriff’s Department can provide a better service. I realize that anything to do with the Police Department is a political issue. I also realize that no Town Council has ever refused Chief Brooks anything he has asked for during budget season or any other time. However, the taxpayers cannot endure another tax increase this year; especially with the revaluation going into effect in the spring. Since all the other departments have been cut to the maximum, it only makes sense to cut the Police Department.